This entry was posted in Computer, Database, Murmuring, PostgreSQL, Software and tagged b-tree, data, database, db, index, postgresql, query, rdbms, search, structure, tree on April 2, 2019 by Gea-Suan Lin. This is an implementation of rsync with a BSD (ISC) license. It's compatible with a modern rsync (3.1.3 is used for testing, but any supporting protocol 27 will do), but accepts only a subset of rsync's command-line arguments. At this time, openrsync runs only on OpenBSD. If you want to port to your system (e.g. Linux, FreeBSD), read the Portability section first. This repository is a read-only mirror of a private CVS repository. I use it for issues and pull requests. Please do not make feature requests: I will simply close out the issue. This entry was posted in Computer, Murmuring, Network, OpenBSD, OS, Software and tagged bsd, gpl, gplv3, isc, license, openbsd, openrsync, rsync, source, tree on February 15, 2019 by Gea-Suan Lin. This entry was posted in Computer, Database, Murmuring, MySQL, Software and tagged data, database, db, log, lsm, merge, myrocks, structure, structured, tree on January 17, 2019 by Gea-Suan Lin. Amazon Aurora is a relational database service that combines the speed and availability of high-end commercial databases with the simplicity and cost-effectiveness of open source databases. The MySQL-compatible edition of Aurora delivers up to 5X the throughput of standard MySQL running on the same hardware, and is designed to be compatible with MySQL 5.6, enabling existing MySQL applications and tools to run without requiring modification. This entry was posted in AWS, Cloud, Computer, Database, Murmuring, MySQL, Network, Service, Software and tagged 5.7, amazon, aurora, aws, b, cloud, curve, database, db, index, mysql, order, rdbms, rds, spatial, tree, z on February 7, 2018 by Gea-Suan Lin. We will provide the experimental builds of MyRocks in Percona Server in Q1 2017, and we encourage you to start testing and experimenting so we can quickly release a solid GA version. MyRocks seems pretty similar to TokuDB. They are both write-optimized. MyRocks uses LSM tree while TokuDB uses fractal tree. How do the 2 compare? Which one would you recommend using? This entry was posted in Computer, Database, Murmuring, MySQL, Software and tagged database, db, engine, facebook, fractal, google, innodb, leveldb, log, lsm, merge, myrocks, mysql, optimized, percona, rdbms, rocksdb, server, structured, tokudb, tree, write on October 26, 2016 by Gea-Suan Lin. 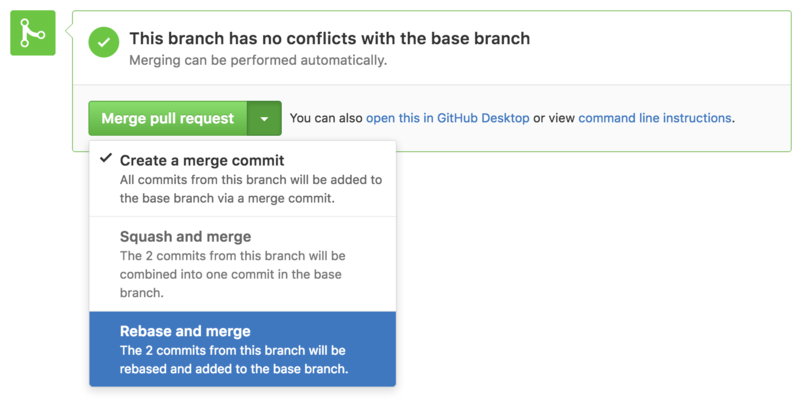 This entry was posted in Computer, Murmuring, Programming and tagged control, git, github, merge, pull, rebase, repository, request, system, tree, version on September 27, 2016 by Gea-Suan Lin. This entry was posted in Computer, Murmuring, Network, Programming, Security, Software and tagged abstract, analysis, ast, go, golang, program, scanner, security, static, syntax, tree on July 28, 2016 by Gea-Suan Lin. This entry was posted in Computer, Database, Murmuring, Software and tagged data, engine, facebook, fractal, index, mongodb, percona, perconaft, rocksdb, server, tokudb, tokutek, tree on September 22, 2015 by Gea-Suan Lin. This entry was posted in Computer, Database, Murmuring, MySQL, Software and tagged data, database, index, mysql, percona, query, structure, table, tree on April 28, 2015 by Gea-Suan Lin. Even those that don’t really need transactions rejoice in the crash resistance strength of InnoDB. This entry was posted in Computer, Database, MariaDB, Murmuring, MySQL, Software and tagged crash, data, database, fractal, indexes, innodb, mysql, percona, safe, tokudb, transaction, tree on June 24, 2014 by Gea-Suan Lin.